I can’t believe I actually made two cards for one challenge! I’m on a roll. This card is made with all Close To My Heart products, except the bit of satin ribbon, which I think I bought at Michaels. 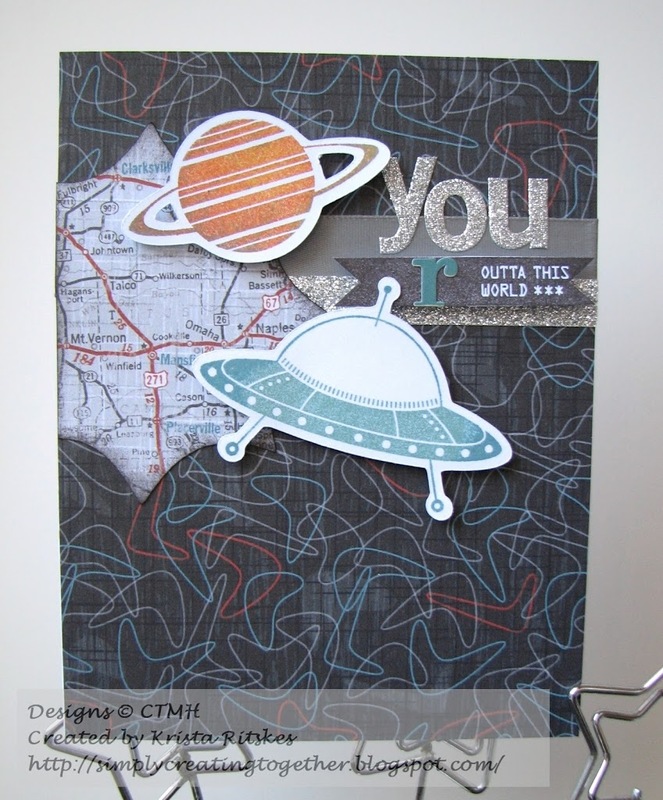 I used Cruisin’ paper and an adorable new stamp set, that my kids just LOVE, called Outta This World. My kids are really interested in the planets and space, along with machines and dinosaurs, so I wanted to make sure my planet was coloured properly. I think I got it pretty close to Saturn, by inking in Honey, sponging with Cranberry and rolling in Slate. The space ship is inked with Crystal Blue then rolled in Twilight. The letters are our new Pixie Glitter alphabet and an “r” from a Webster’s Pages sticker sheet. The map shape was cut with my Art Philosophy cartridge. I hope you’re getting a chance to create just for the fun of it! 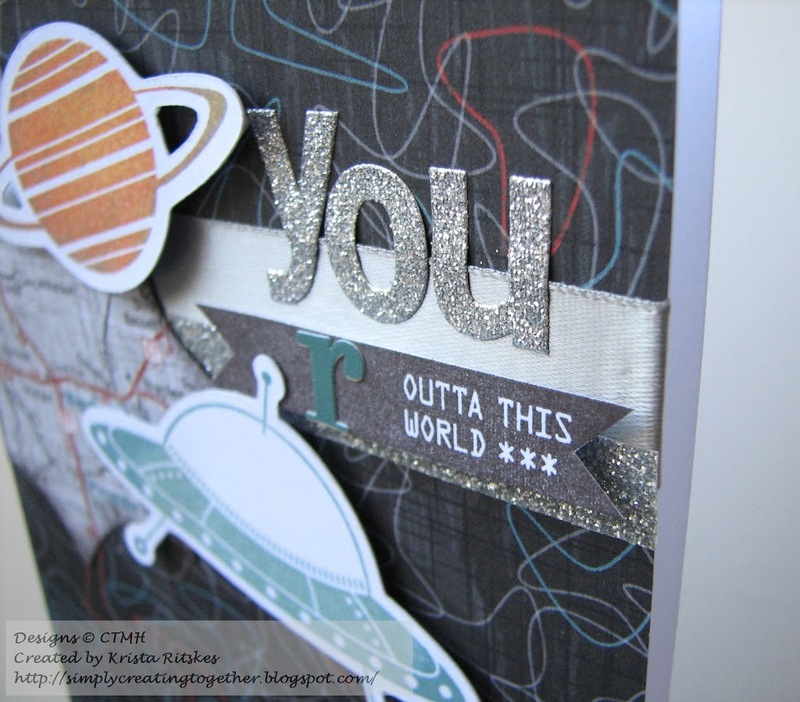 This one – I LOVE the font combos and the glitter! Great take on the sketch – I’d love for you to link up at 52 Card Pickup this week!